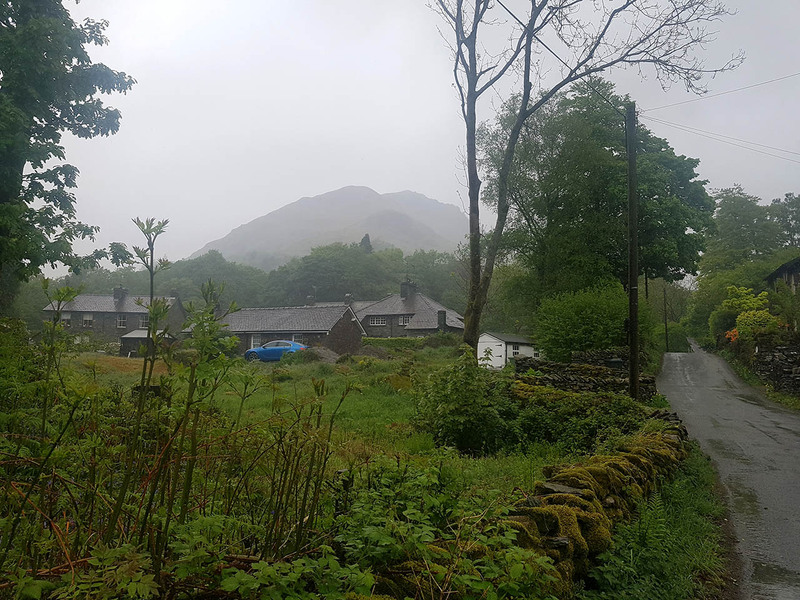 Part 4 of my Coast to Coast walk took me from Grasmere to Patterdale and the weather hasn't improved much! 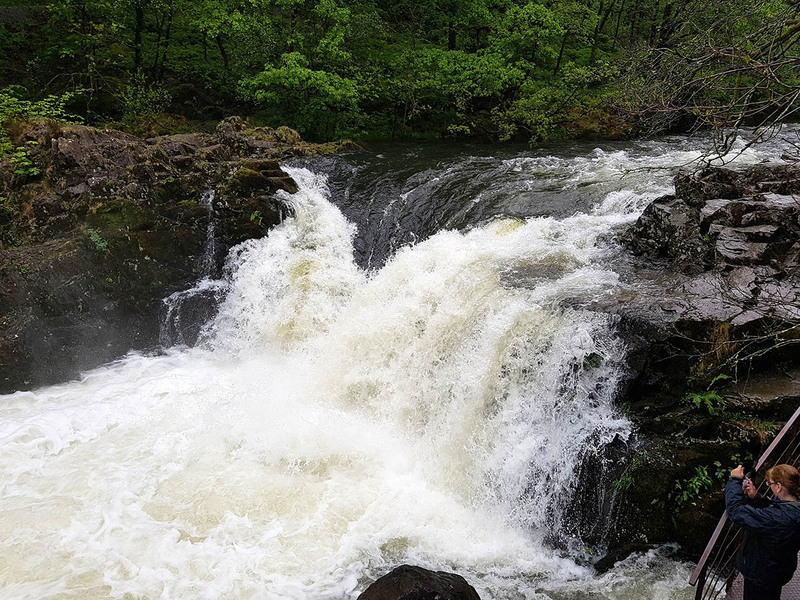 Having had a relaxing morning knowing the walk today was not going to be too long and that the weather might improve slightly in the afternoon we headed to Skelwith Force to see how it looked after all the recent rain and it was quite spectacular! 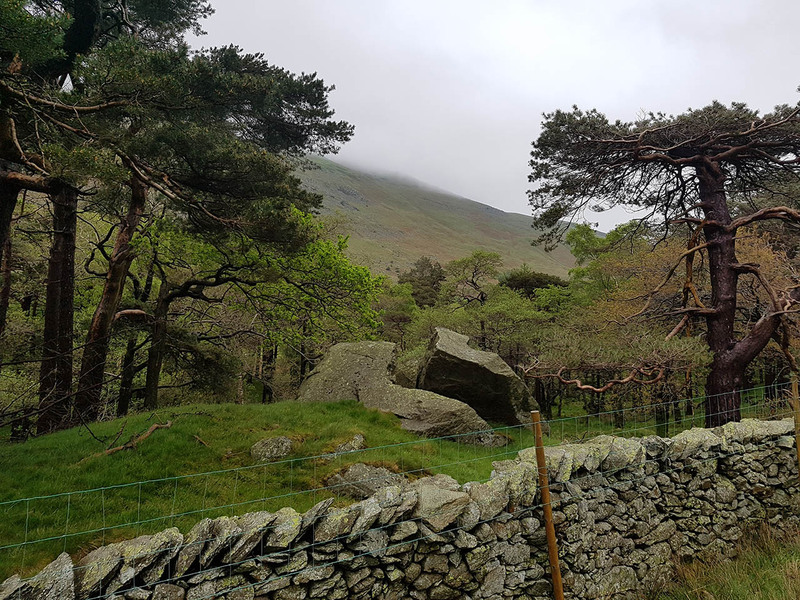 Following the road north out of Grasmere and there was a little view up to Helm Crag. 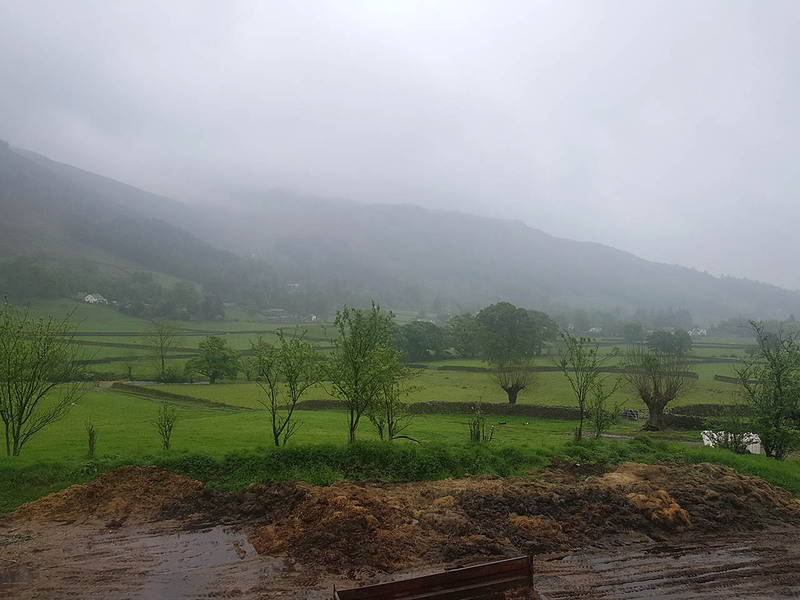 A view across the Vale of Grasmere and guess what... its raining! 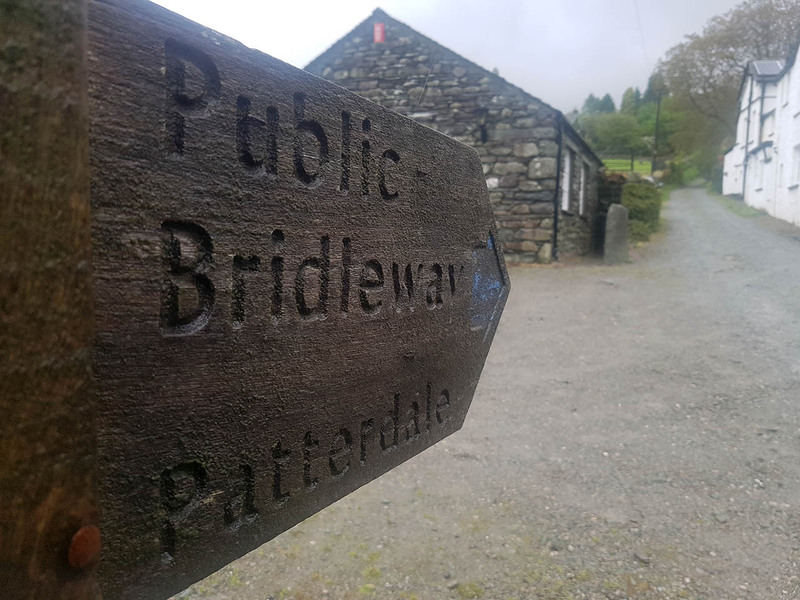 After crossing the A591 its time to head uphill towards Patterdale. 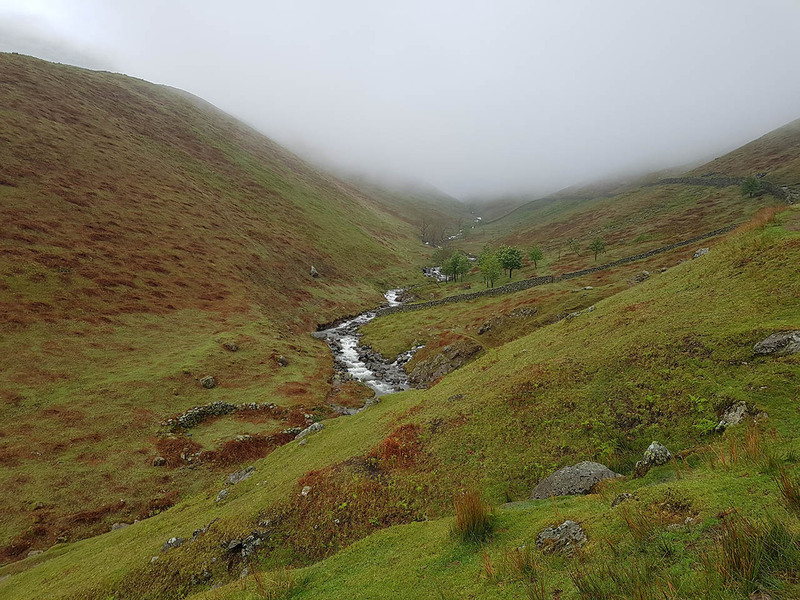 Following the valley along the river. 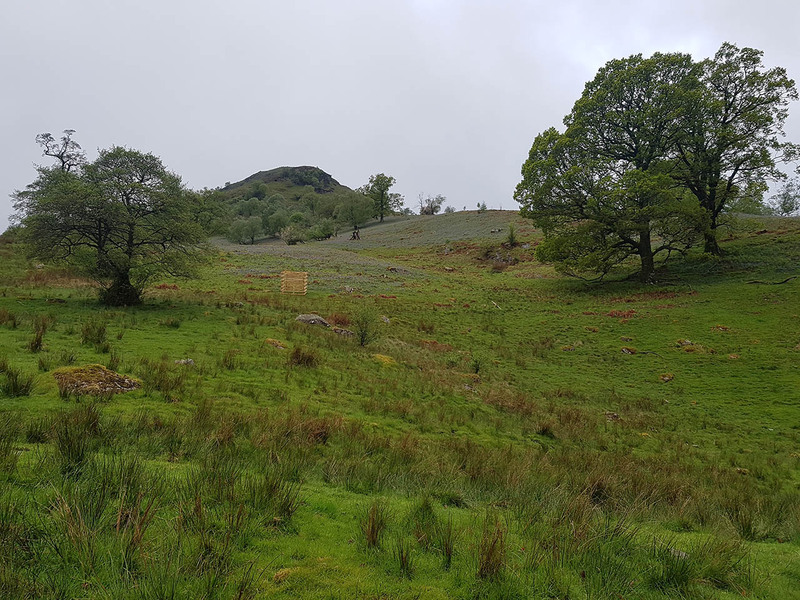 The path follows a gentle incline along the wall on the right. 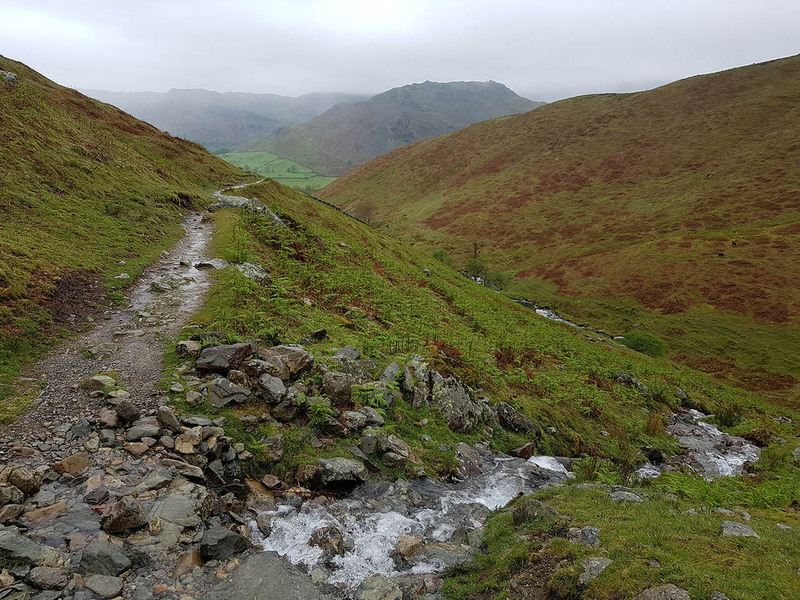 Slight weather improvements as I look back to Helm Crag. 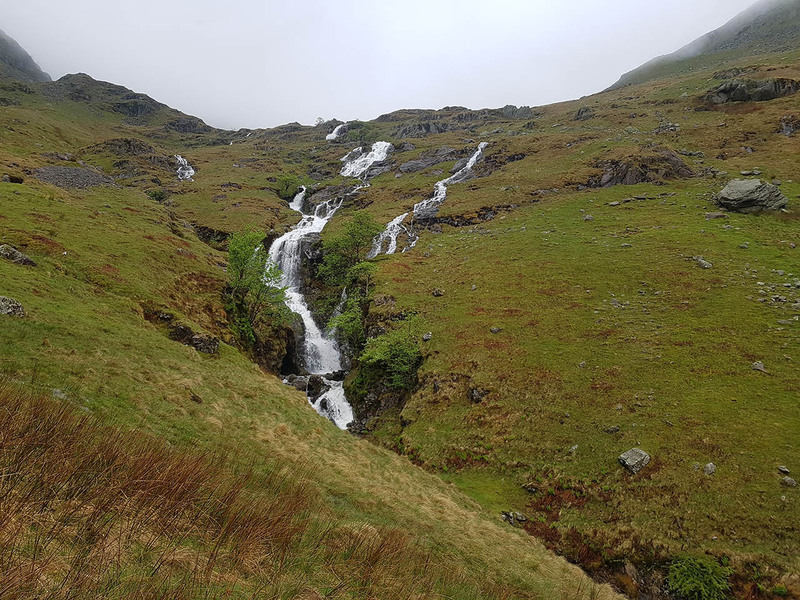 A lovely waterfall as I enter the cloud, the river crossing was interestnig but remained dry! 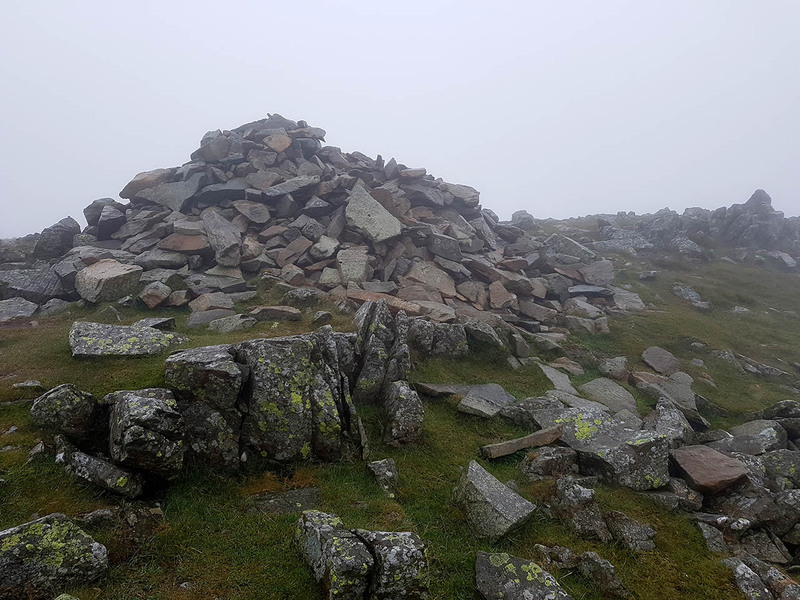 The summit cairn on Seat Sandal. 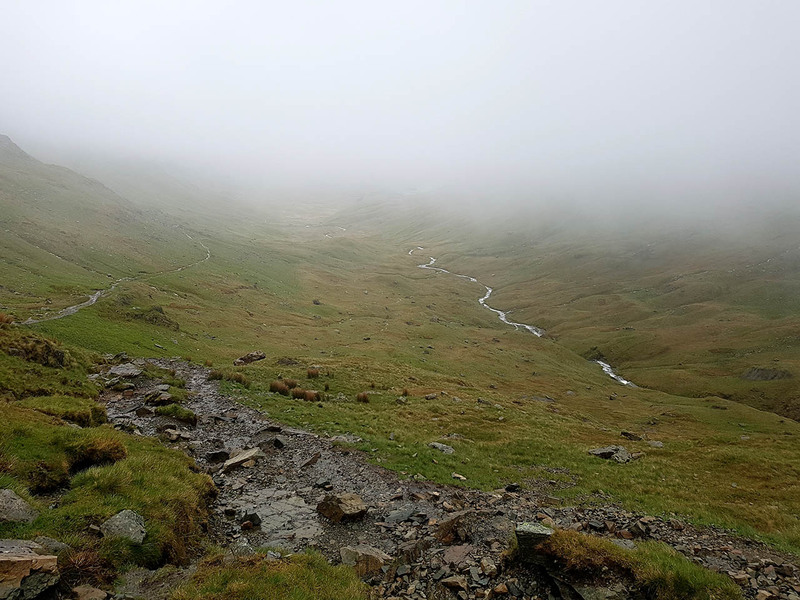 Descending down out of the cloud into Grisedale. 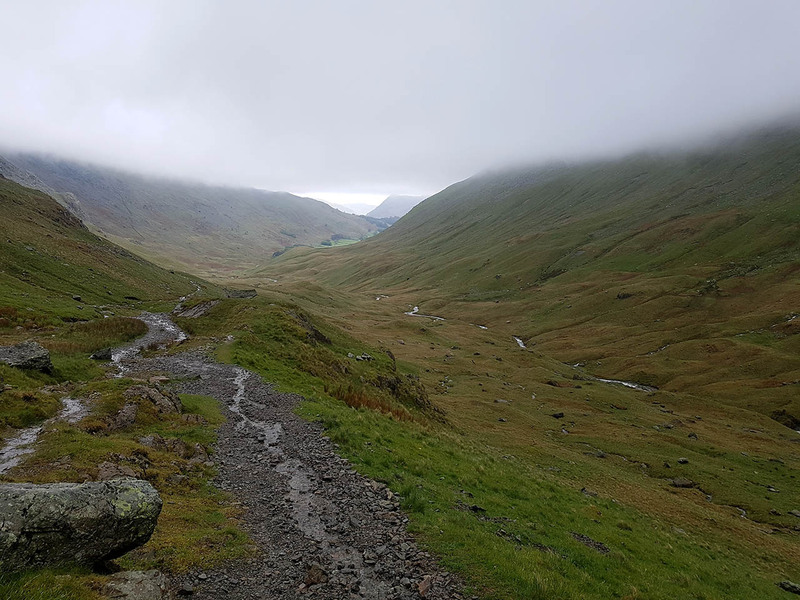 Views of Grisedale opening up as I descend down to the climbing hut. 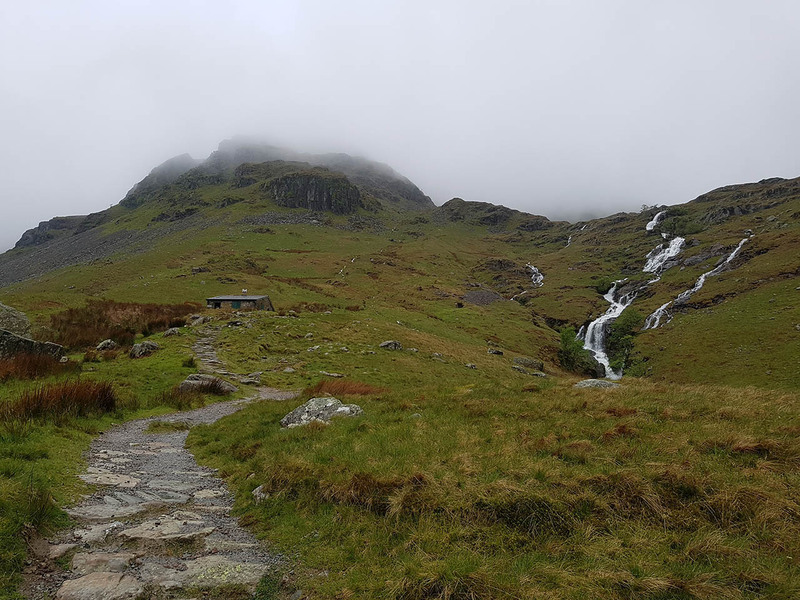 A panorama from the climbing hut. Click for larger version. 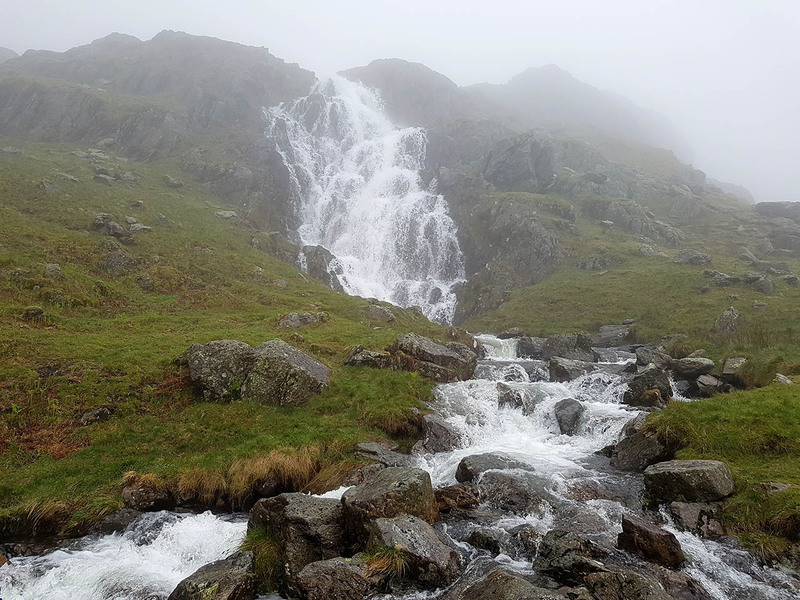 Spectacular waterfalls by the climbing hut. 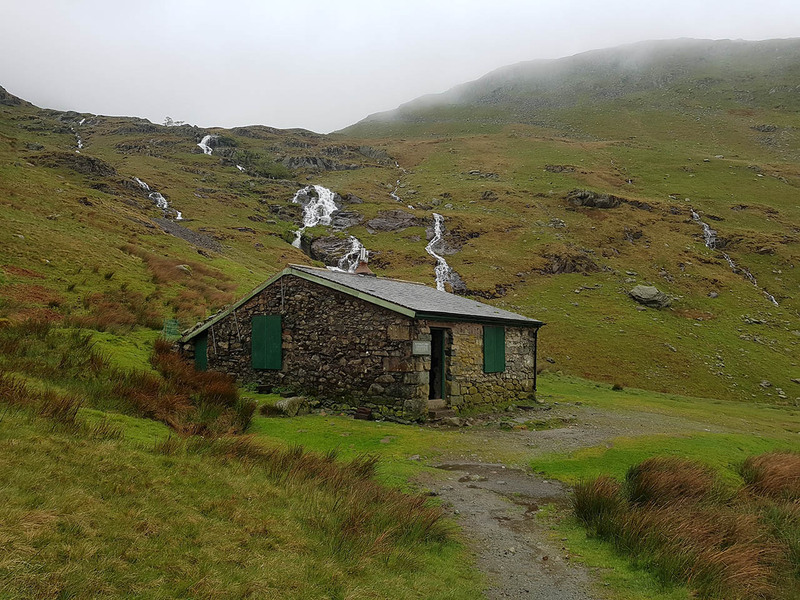 A photo showing the proximity of the waterfall to the hut. A long way from the hut now. 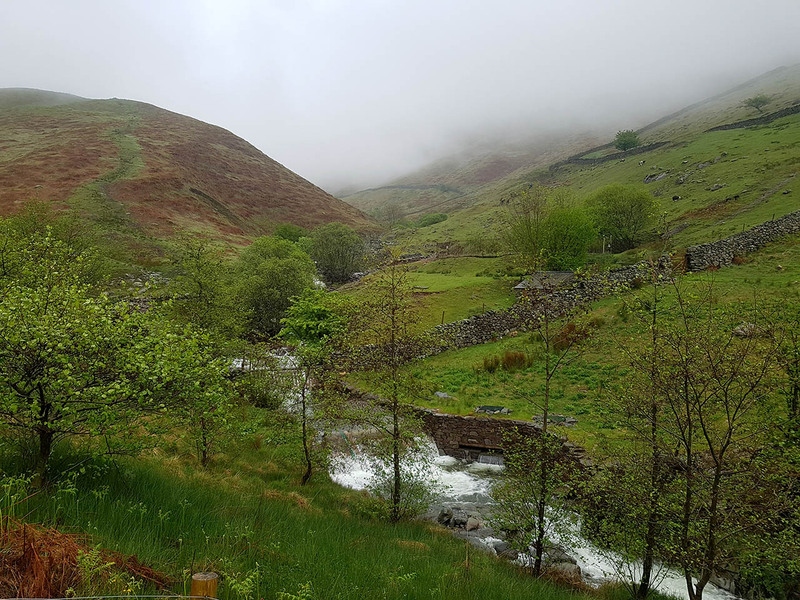 Continuing down to the valley floow and towards Patterdale. 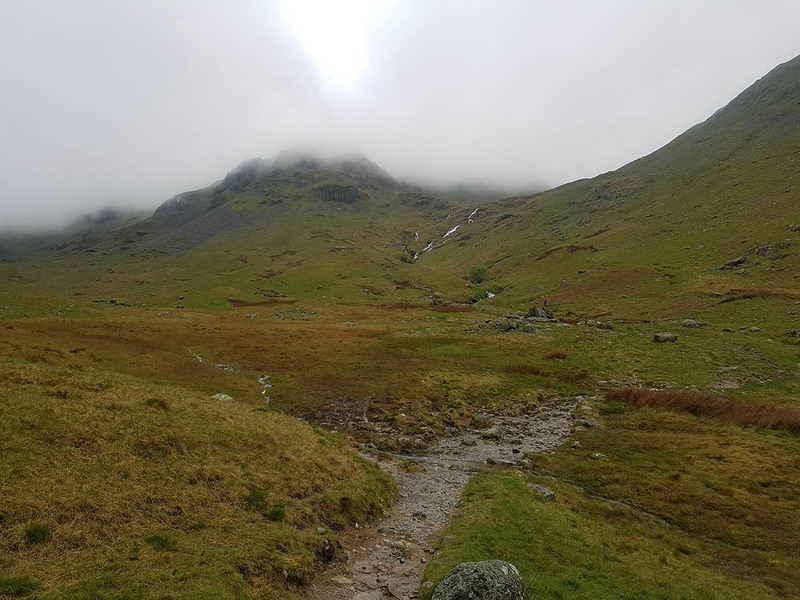 Thats Place Fell in the centre of the photo. 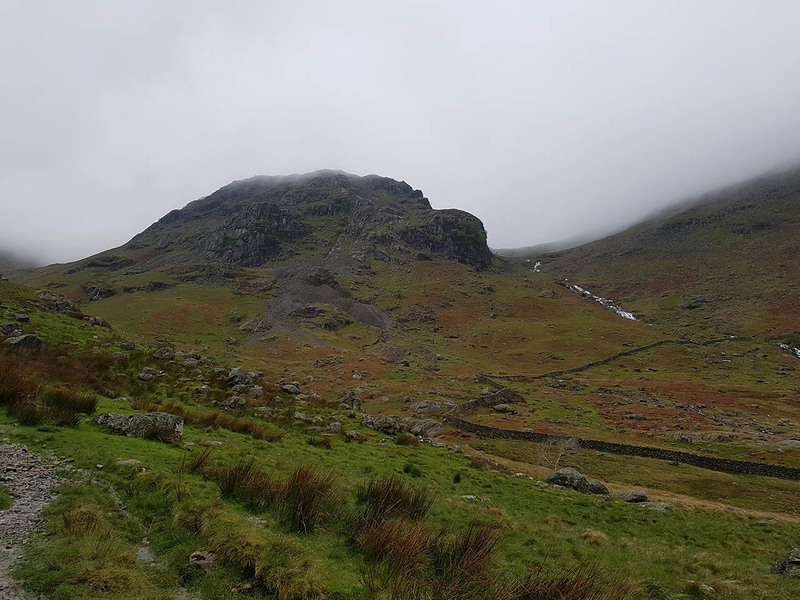 Eagle Crag (not the Wainwright one). Oddly there is no name for this stone that I can find but I think it should be called The Cloven Stone. 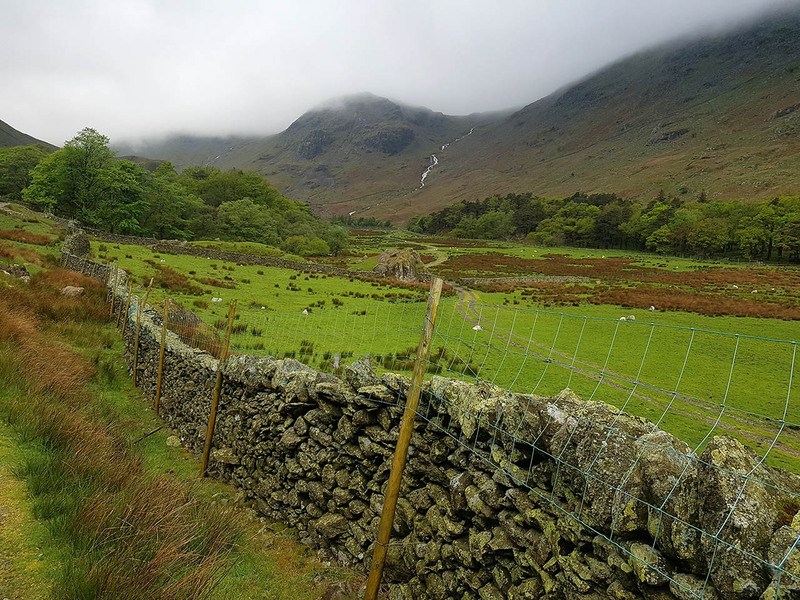 A view back to Eagle Crag and Nethermostcove Beck. 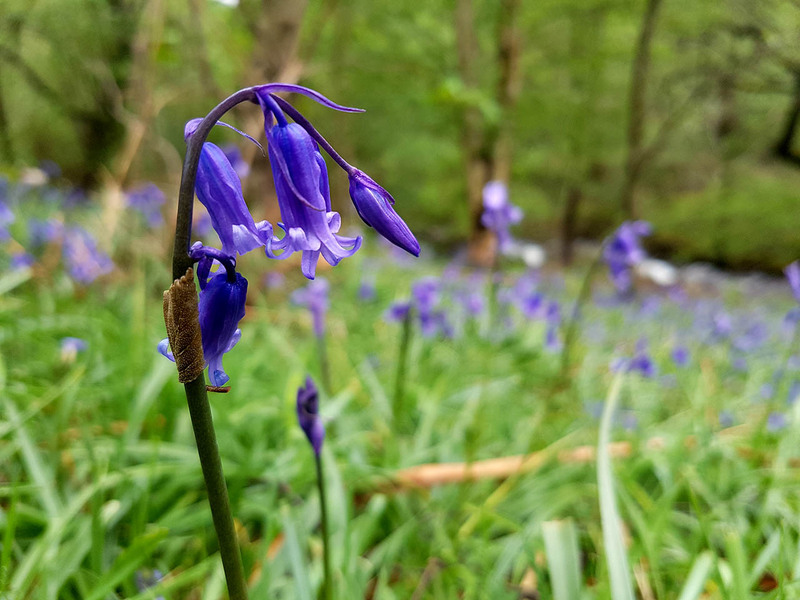 A hint of blue/violet from the Bluebells. 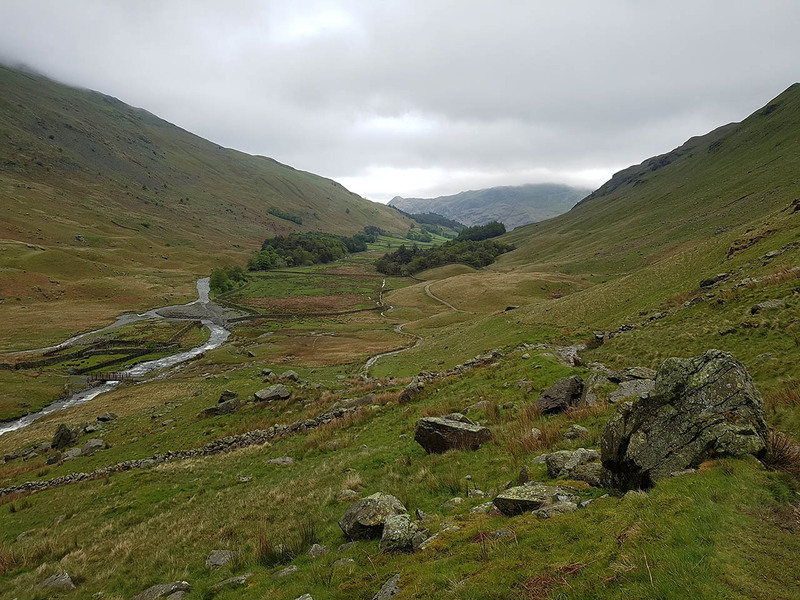 A final panorama showing a view to Ullswater and Place Fell as I make my final descent into Patterdale. Click for larger version.